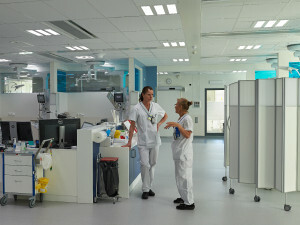 As the first hospital in Scandinavia the new operation, building in Karlstad, Sweden, have chosen a complete lighting solution – from operation room to recovery and intensive care. The result is an improved environment for patients, doctors and nurses. 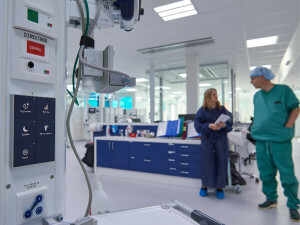 In April, the Central Hospital in Karlstad, Sweden, opened a new operation building – a modern building ready to meet the needs of the future. 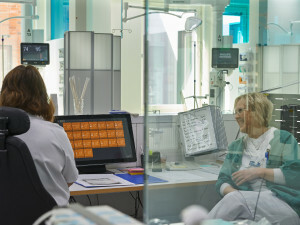 ”With the right lighting, we create a better working environment for the staff and good surroundings for the patients,” says Tobias Kjellberg, Healthcare manager, at Region Värmland. 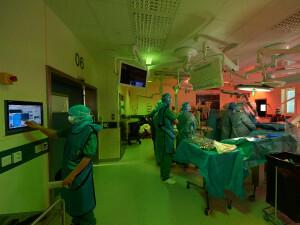 When an operation is completed the patient is moved to recovery and intensive care. Here is a circadian lighting that changes automatically – as the natural light. It rises as the sun, is strongest in the middle of the day and a night a specially designed night light without the blue colors begins. 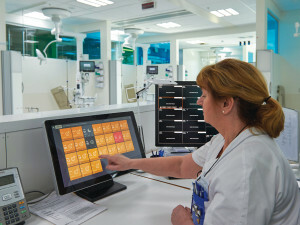 Chromaviso have developed the lighting concept in collaboration with leading Chrono biologist and researchers to support the natural circadian rhythm of staff and patient – which is often a challenge during hospitalization and night shifts. 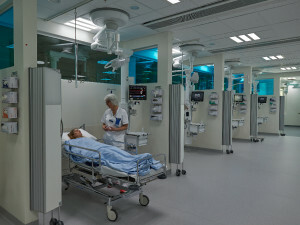 The lighting solution is based on a clinically validated light protocol that unites considerations for the patient category and the rhythm of the ward. The lighting solution is based on newest academic and clinical research to ensure a physiological effect in terms of energy and sleep. The night light is broad-spectrum and contains all colors except the ones that primarily affect the body’s waking state during the night. This means that the staff has good visual conditions, while the body’s circadian rhythm and sleep quality are not affected. Besides the circadian lighting the concepts includes different light settings in both white and colors to specific tasks. It is the first time to see a complete solution and still maintain the flexibility on each operation room or patient bed. The ambitious lighting project has become a success based on good cooperation across competencies during the construction process – right from initial consultancy to planning, implementation and putting into operation. ”During the planning phase, we worked closely together with Chromaviso, and together, we went over room by room. This means that we hit the mark the first time around. This is amazing, considering that this is the largest and most advanced installation in Sweden”, says Linus Idermark. The fact that a Danish lighting company was chosen was a result of a thorough decision-making process and several years of cooperation and dialogue regarding different options. ”Chromaviso has been a good business partner since 2007, where we installed Ergonomic Lighting for the first time. They provide very competent consultancy, and throughout the years, they have proven that they also follow up with user implementation. Therefore, when we had to choose a supplier for the new construction project, we considered factors such as effect, price and competencies. And in than connection, we all agreed that we would get the best complete solution from Chromaviso”, says Tobias Kjellberg. Chromaviso have led the entire process from initial analysis, consultancy and lighting design to integration, programming and user training and follow up. The solution was complete and ready to use as planned and have been working without any problems since day 1. There is 28.000 square meters with Ergonomic Lighting and Chroma Zenit Circadian Lighting.